When you say you'll be busy all day doing your hair, you mean it. The deep conditioning, the frizz-fighting treatments, the brushing, the blow-drying, the flat ironing—there’s just so much that goes into maintaining that mane. Blow-drying all that hair = a serious workout. It takes on an entirely different meaning for someone with long hair. Basically, it takes all day to air dry. You shower in the morning, and few hours later, it's still damp. By the time you're done, your arms are sore and you're sweating. You go through conditioner at an alarming rate. I have to buy those jumbo ones from the supermarket. Four out of five brushes will get caught in your hair, and fine-tooth combs don't even stand a chance. It takes a serious tool to get through your mane without splitting in two. It's like a beast that cannot be tamed. Your hair is always on your clothes, your friend's clothes, the floor, your drain… and pretty much everywhere else. You shed dramatically, even more than your dog. I visited L’Oréal Academie Manila with my friends for some hair pampering. They offer treatments to make every salon visit worth it. We tried the Hair Spa and Mythic Oil hair care line and we all loved the results. We seriously enjoyed their Hair Spa In-Salon Rituals that will definitely keep the hair healthy through monthly regimens. Asians believe that the malnutrition of the hair is rooted in the scalp and hair discomfort due to both external factors such as dust and frequent shampooing and internal such as stress and poor scalp blood circulation. Hair Spa by L’Oréal Professionnel breaks this vicious cycle of malnutrition for an absolutely healthy well-being of your hair and scalp. Infused with relaxing water lilies, Hair Spa nourishes hair and scalp inside and out. In the outside, the fiber is nourished while in the inside, natural nutrition is reactivated. This 1st Renutritive Service by L’Oréal Professionnel for hair well-being is formulated with deeply moisturizing ingredients with anti-dandruff action leaving your hair smooth and soft and your scalp relaxed. Over time, the natural oils in each hair strand start to dissipate leaving the ends dry and coarse, while oils at the roots can build-up and weigh hair down. This is where the Ultimate Oil Ritual comes in with Mythic Oil in-salon rituals featuring powerful oil concentrates to clarify, deeply nourish, and protect the color, returning hair to a balanced state. Luxurious massage techniques are used to improve product penetration and promote ultimate relaxation. A made-to-measure blend of seven precious oils and sensorial textures gently applied to your hair, Mythic Oil boasts of the following concentrates known to deeply nourish and protects hair. 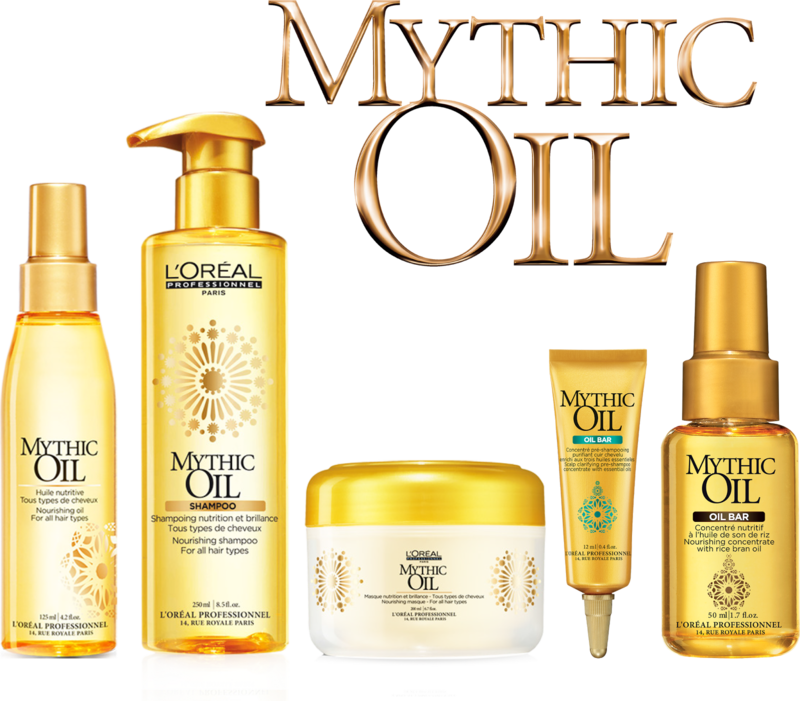 Mythic Oil At-Home Care Line boasts of its products that are ideal for all hair types. Infused with the precious oils, these products are paraben-free and are light enough perfect for everyday use. New Mythic Oil Shampoo, Masque, and Leave On use powerful oils to balance hair leaving it cleansed at the root and nourished at the ends for a weightless finish. The paraben-free formula cleanses hair while restoring moisture and shine, infused with argan oil, known moisturizer and frizz fighter), avocado, grape seed, and cotton seed oils, as conditioners. With the varying needs for hair care, it can be seen how treatments are quintessential to keep those tresses stress-free. Introducing the hair care line starting off with exclusive regimens and in-salon treatments, featuring the innovative Molecular Precision Technology – an innovation treating the hair down to the molecular level. “This advanced technology can be found in our specialized salon treatment, Série Expert, which helps deliver ideal results for specific hair needs by targeting each zone of the hair fiber, “said Anthony Wee, Group Product Manager of L’Oréal Philippines Professional Product Division. Série Expert treats the surface, the cuticle, and the cortex, which is the very heart of the hair strand – making it the ideal technical treatment for color-treated hair, damaged hair, or rough unmanageable hair. L’Oréal Professionnel addresses these needs with pampering treatments such as the Mythic Oil and Hair Spa In-Salon Rituals. “From global to local reviews, we are proud to be offering to Filipinas one of the most indulging treatments with Mythic Oil,” added Wee. Featuring in-salon and at-home products, this highly-acclaimed ultimate oil ritual boasts of its made-to-measure blend of seven precious oils which balances the natural oil levels in the hair, cleansing the roots while nourishing the ends of the hair. Since then, millions of women all over the world journey through hair care with L’Oréal’s range of professionally formulated treatments. Each service is customized and individually prescribed specifically for you by your stylists to help return your hair to its healthiest and most beautiful state. “A good half an hour is all it takes to maintain healthy and beautiful hair,” said Wee. Ask your stylist if one of these L’Oréal Professionnel in-salon treatments is right for you during your next service and discover the most sensorial experience for your tresses. Share how L’Oreal Professionnel has made your every salon visit worth it by using the hashtag #TrustOnlyLOrealPro. For more information about L’Oréal Professionnel, please visit https://www.facebook.com/lorealprofessionnel.ph. What are your biggest hair problems? Tell me in the comments!